The cloud is rapidly becoming the place that provides the most innovative technology available. In fact, it’s more than a tool for IT departments, it’s become the core technology for entire companies. 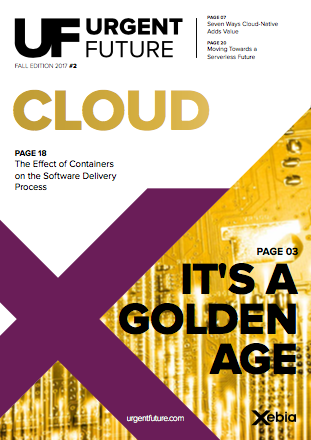 Download our comprehensive IT trend report, Urgent Future: Cloud - It's a Golden Age to learn how to embrace the cloud now to maximize your competitive advantage. Cloud Transitions Done Right, The Do's and Don'ts of Cloud-Adoption, The Effect of Containers on the Software Delivery Process, and many more. Download the FREE 2017 Urgent Future: Cloud - It's a Golden Age report now.